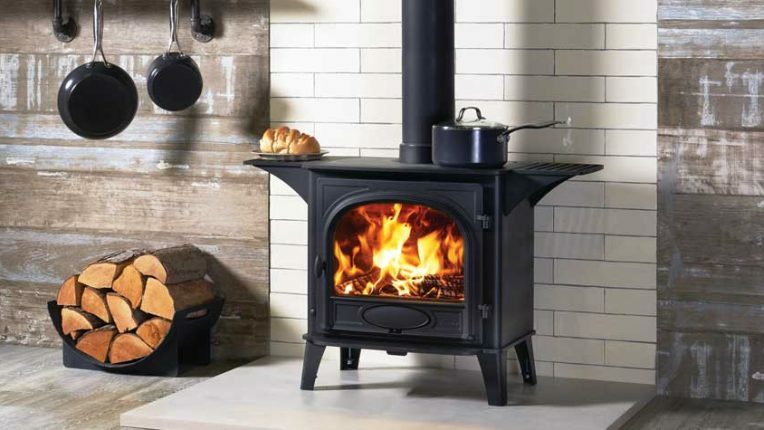 The Stockton 8 wood burning and multi-fuel cook stove from Stovax is designed to allow you to cook using the stove’s polished cooktop, which is large enough to easily heat various pots and pans as well as a kettle. Available with optional warming shelves that provide additional space for pans, the Stockton lets you easily regulate cooking temperatures or simply keep dishes warm. The Stockton cook stove comes in either single or double door versions and can be selected in metallic blue, brown or green finishes, in addition to matt black. There is also the option of a multi-fuel kit which allows the burning of mineral or smokeless fuel, in addition to logs.